Six years after the events of "Operation: Snake Eater", portrayed in Metal Gear Solid 3: Snake Eater, Naked Snake's former team, FOX Unit, has broken their allegiance with the CIA and gone renegade. Snake himself is also targeted by the FOX Unit, which sent renegade FOX Unit soldiers to attack and capture him. 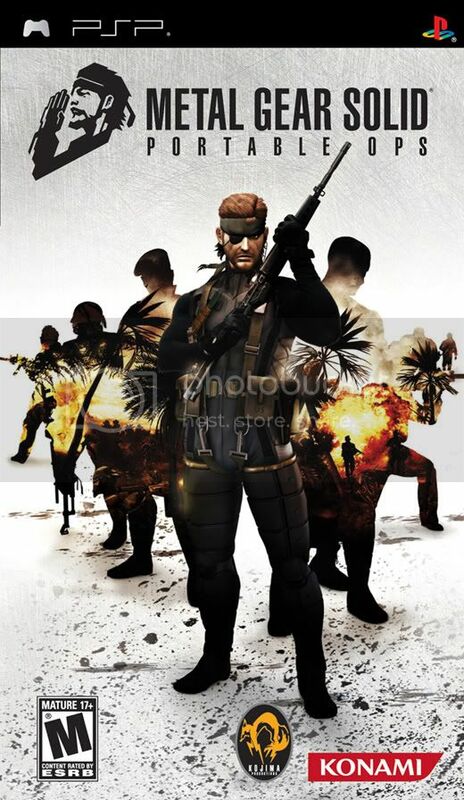 The game begins with Snake being tortured and interrogated by one of the members of FOX, Lieutenant Cunningham, who's trying to locate the whereabouts of the missing half of the Philosopher's Legacy, with the United States Government having already acquired the other half of the Legacy from the Soviet Union at the conclusion of Snake Eater. Snake is imprisoned in a cell next to Roy Campbell, the sole survivor of an American Green Beret team sent in to investigate the base. Snake learns through Roy that they're on the San Hieronymo Peninsula, the site of an abandoned Soviet missile silo in Colombia. The two escape and Snake makes his way to a communications base, where he attempts to contact his old CO, Major Zero. Instead, he is greeted by his old FOX comrades Para-Medic and Sigint, who reveal that Snake and Zero are being accused of instigating the revolt and that the only way for Snake to clear their name is to find and apprehend the leader of the rebellion, Gene. To complicate matters, Gene has also convinced most of the Russian soldiers stationed on the base to join their side by simply taking over the chain of command of a former Red Army unit, that was secretly stationed inside the Colombian territory. In order to complete his mission, Snake must persuade enemy soldiers to join his ranks because of the scale of his mission. Unlike Metal Gear Acid and its sequel, which were turn-based strategy games with stealth elements, MPO retains the action-based gameplay from the console iterations, drawing heavily from Snake Eater and utilizing the camera system from Subsistence. The main addition to MPO is the "Comrade System. Instead of the solo-based missions that the series is known for, MPO goes for a squad-based approach, with Snake having to recruit his own allies and form his own team of trained specialists. Before each mission, the player must compose a four-man squad, which, at the player's option, includes Snake himself. The desired squad is then sent into the battlefield. Each member of Snake's squad has their own strengths and weaknesses. While some units are best utilized on the battlefield, others may specialize in producing items, healing allies, or providing intel for each of the game's maps. During gameplay, the player controls only one squad member at a time.The squad members not in use hide themselves inside a cardboard box, and can be swapped into play when the player-controlled character finds a "hiding spot", where they can hide in their own cardboard box. Characters who are killed in combat are eliminated from the player's squad permanently, unless they are special characters, such as Snake. Special characters also include team mates that are bosses or supporting characters in the story. If a special character's health is reduced to zero, they are sent to the infirmary, in order to recover.The player can also abort the mission whenever it is felt necessary. A variety of methods can be employed to expand one's squad. If an enemy character is tranquilized or stunned, they can be dragged to a waiting pick-up truck and captured. After a period of game time, the captured soldier will become a member of Snake's team. Also, enemy characters can be dragged to an ally waiting in a cardboard box, where, through the use of a transceiver frequency, they will be ordered to transport the enemy for the player, saving stamina. Alternatively, by accessing the PSP in certain hotspots using the system's Wi-Fi feature, soldiers and even special bonus characters can be recruited. The PSP GPS Receiver can also be used to similar effect. Because some of the player's recruits include former enemy soldiers or personnel, they can walk among the enemy undetected as long as the player avoids suspicious actions. Another new feature is the surround indicator added to the game's HUD. Similar to the radar in previous titles, the surround indicator allows players to determine the relative proximity of enemy soldiers by the noises they make. The surround indicator is composed of two circles; the outer circle displays the noises made by enemies and inner circle displays noises made by the player himself. The game also contains a Wi-Fi-enabled multiplayer mode, which is an expansion of the "Metal Gear Online" mode previously featured in Metal Gear Solid 3: Subsistence. One's performance in the Online Mode may affect their performance in the single player campaign; the player can recruit and trade soldiers from beaten opponents, or vice-versa. Additionally, certain multiplayer options result in recruits being removed from the one's single player roster permanently.